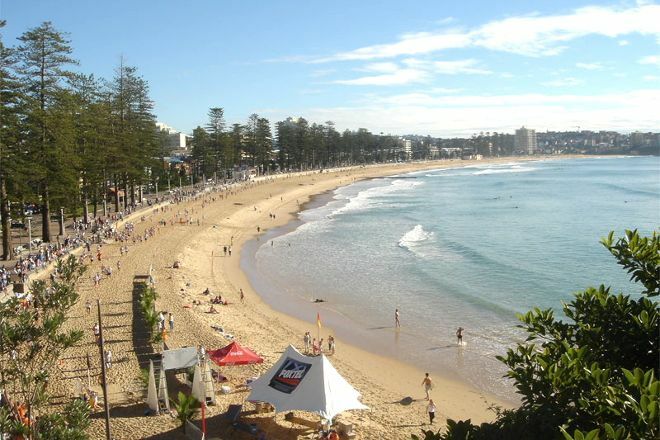 Manly Beach stands as one of the best places to experience Australian beach culture. Captain Arthur Phillip gave the sandy area its name based on his perception of the masculine behavior of the indigenous people he met when he arrived in 1788. Now the long sandy beaches also are home to trendy shops and nightclubs. If you want activity, try surfing, windsurfing, parasailing, snorkeling, or scuba diving. 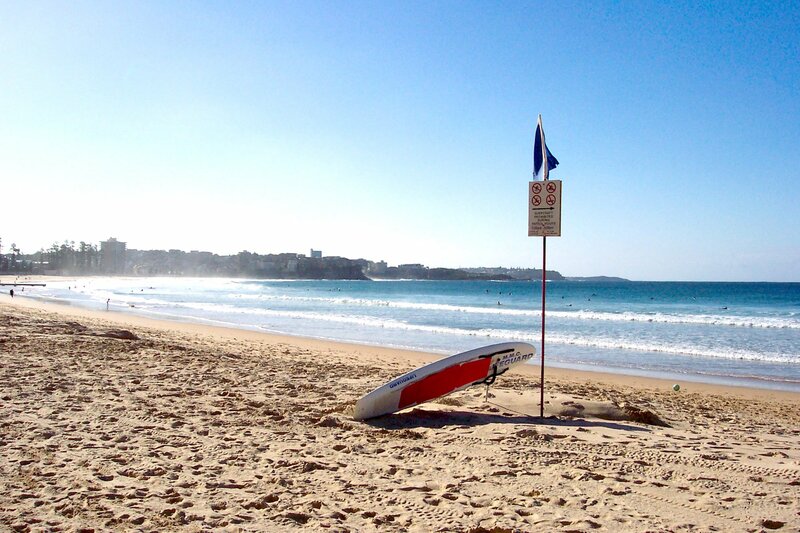 If you prefer leisure, enjoy a picnic on the sheltered beach of Manly Cove. Only 11 km (7 mi) from downtown Sydney, the beach is easily accessible from Circular Quay via regular ferry or fast catamaran. 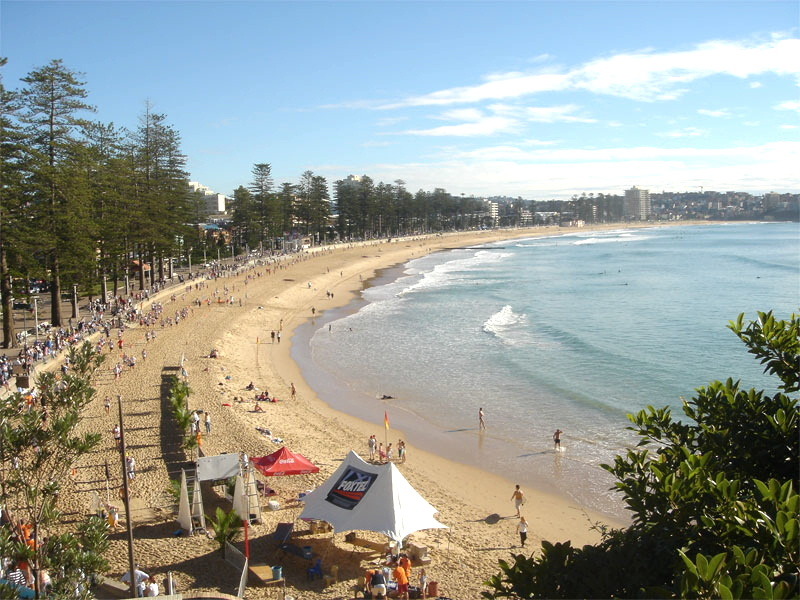 Plan to see Manly Beach and other attractions that appeal to you using our Sydney road trip planner . 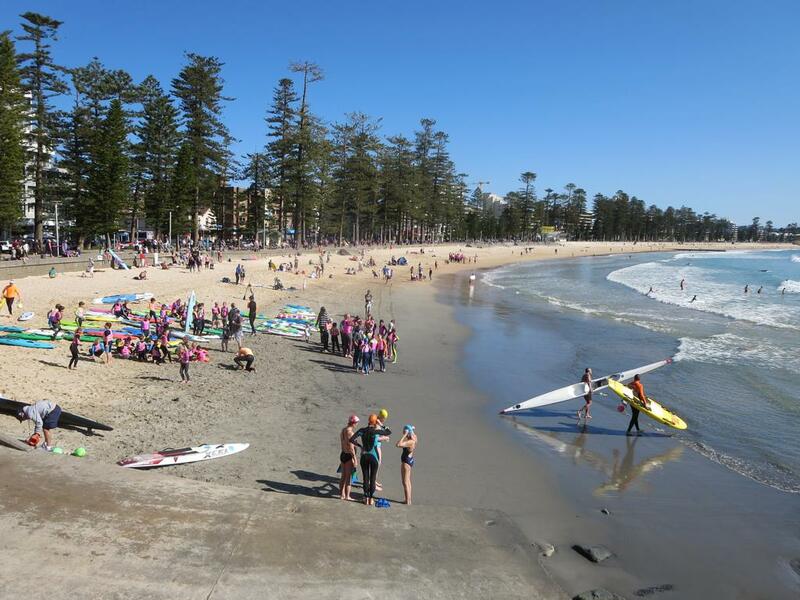 I have been coming to Australia every two years since the mid 1990’s, and Manly Beach is always a required visit at least once. It is beautiful, family friendly, plenty to do for everyone, and has lots of shopping and food options. It doesn’t have that sleazy beach town feel that some beach towns get. It has a special charm. Sorry I don’t have a lot of photos. All my photos have my family in them, and I don’t want to post those.